Enough is Enough... We Need To Take Action Today! 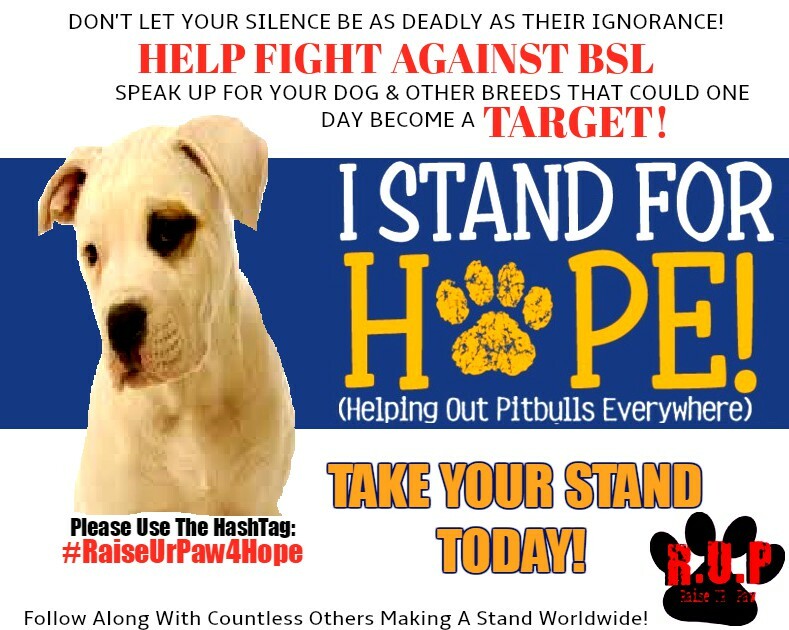 The H.O.P.E Campaign was designed not only to raise awareness about the extreme issue BSL, but offer education about a misunderstood breed that has been targeted due to fear and ignorance of a prejudice society, and shine the light on those innocent lives who perished and the ones who are needing our help so desperately today. 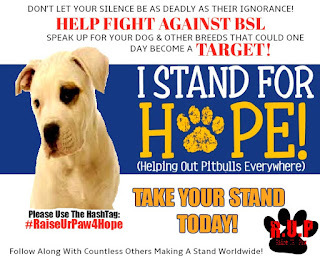 With your participation and support, you are showing the world that you are making the time to appreciate and spread education about a breed of life that should not be discriminated against, that you are bringing to public attention that change of perceptions and stereotypes are needed, and that we all need knowledge and foster positive attitudes towards these beloved canines, and not punish an entire breed or responsible owners due to the bad reputation and image that society has placed upon them.